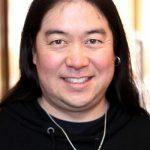 Although rock singer and songwriter Christopher Hawley hails from Venice, California, he plays in Park City so much that he could easily pass as a part-time resident. In fact, Hawley did toss around the idea to move to the Wasatch Back 11 years ago. These days, the guitarist comes to the Beehive state at least three times a year. “I try to come twice in the winter and come back in the summer as well,” he said. This week will mark his summer appearance. Hawley will fly into to Salt Lake on Thursday with his band the Rollers and play at Gracies that night. On Friday, Christopher Hawley Rollers will perform at 6:30 p.m. on Friday, July 21, at the Shed, at Promontory, 8578 Ranch Club Drive. And then the band will head to the Mystic Hot Springs Music Festival on Sunday. The concerts will feature some vintage Hawley tunes, as well as some new ones culled from his album “Stories” that was released three weeks ago. The album was co-written and co-produced by Hawley’s long-time friend Randy Wooten. Wooten was the guy giving away the furniture, and Hawley and he started up a conversation about music. The two started writing songs a few years into their friendship. The new album, “Stories,” emerged from an idea Wooten had three years ago. Hawley liked the idea, especially since Wooten would be the producer. Wooten beefed up the compositions by adding piano, background vocals and even a French horn to one of the songs. Deciding on the track list was simple. Hawley said the songs on “Stories” feel more personal and introspective than the songs on his other albums. “The lyrics are also more philosophical, especially on the title track and on the song called ‘Josephine,’” he said. “The songs are more moody than what I’ve written in the past. And that is definitely the result of collaborating with Randy. Writing with Wooten is an inspiring experience for Hawley. “It’s different every time, but usually I would bring in a concept or a snippet and he will take it and run,” Hawley said. “Many times we’d be in the room with our guitars and I’d be trying to keep up with the lyrics that he would prolifically keep creating. “Stories” is available on iTunes, Amazon.com and Spotify. Christopher Hawley Rollers will perform at 6:30 p.m. on Friday, July 21, at the Shed at Promontory, 8578 Ranch Club Drive. The band will also perform on Thursday, July 20, at Gracies in Salt Lake City and on Sunday, July 23, at Mystic Hot Springs Music Festival in Monroe. 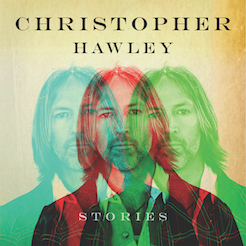 For information about Christopher Hawley, visit http://www.christopherhawley.net.